1. They are safe – Toyota is known for putting their vehicles through rigorous safety testing prior to placing them on the market. The manufacturer continuously demonstrates their commitment to selling safe vehicles and has proven it with their creation of the Safety Connect in 2009. Toyota vehicles that come equipped with Safety Connect will have access to an advanced collision notification system, an emergency assistance button, stolen vehicle tracking, and roadside assistance. Additionally, Toyota is constantly named one of the safest cars around by independent organizations and respected magazines. Some of the features that they note include automatic steering that can help drivers avoid collisions, advanced high beam lights, and a pre-collision system that will cause the vehicle to automatically break when there is an accident to avoid collision between vehicles. With a Toyota, your safety will never be at risk. 2. They are dependable – Toyotas are not only very safe cars, but they are also highly dependable and known for rarely ever breaking down. They get great gas mileage and are well built, with strong engines. These vehicles are assembled by highly skilled engineers that are involved with nearly every part of the manufacturing process. This helps to ensure that all parts are of high quality and built to last. It is not uncommon for a Toyota's life to extend well past the 100,000 mile mark. 3. They are affordable – If you're looking for an affordable vehicle, Toyota is the way to go. A Toyota rarely passes the $30k mark, even new. You can also find great deals on new and used Toyota vehicles at your New Jersey Toyota dealer. These dealerships frequently offer special discounts and, when combined with the already low prices of a Toyota, you'll be guaranteed to have one of the most affordable cars on the market. Furthermore, the dependability and fuel efficiency of Toyotas will help keep your operating costs down for many years to come. 4. They are green – Toyota has proven time and time again to be committed to going green. They've made several advancements to their cars to make them more eco-friendly and sustainable. They produce several hybrid and fuel-efficient cars and are also beginning to make plug-in electric vehicles. 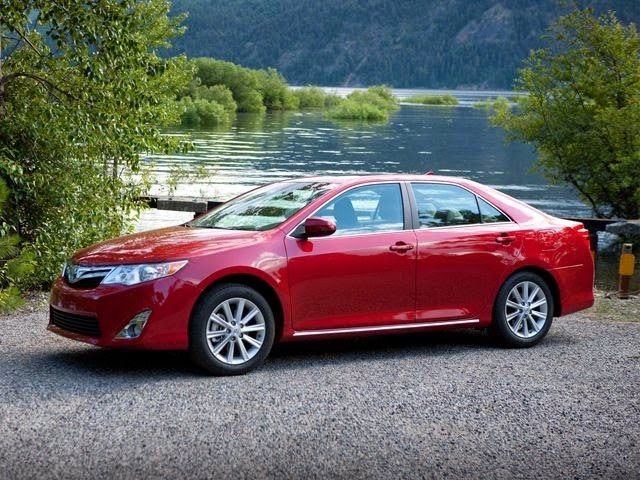 When you drive a Toyota, you'll be driving one of the most eco-friendly cars out there. Toyota vehicles will give you the most value for your money. Whether you're looking to buy new or used, you'll be guaranteed to reap in many benefits with a Toyota. See your New Jersey Toyota dealer today for more information.